You are browsing the archive for scraping. A very simple but useful trick ! The trick only works with lists which have a menu to select the number of items being shown, along with previous and next buttons. This trick works very well with average-sized lists: around 20,000 items. Over that number, your computer may freeze, as did mine when trying to load a 40,000 item list. A workaround can be found at the end of this tutorial. The idea is to display all the 7,365 listed movies on a single page. 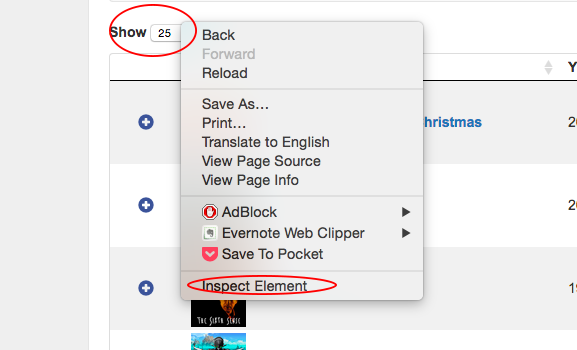 To do so, right click the selector for the number of displayed items, and choose ‘Inspect Element’. Inspect Element Once the code editor of your browser has opened, click on the small arrow at the right of the highlighted line. You should see the screen below: What we want to change is the ‘value=100’. Edit it with a double click and replace 100 by 7365. If you feel it necessary, you can change the text of the button itself by modifying the other ‘100’, between the option tags. Any text put there will appear directly on the page:: You now only have to select this button to make all the movies appear on a single page ! /! Be sure not to have this button selected before modifying it: if you modify the ‘value=100’ button, make sure that you were originally on the ‘value=25’ button or any other. /! It might take a few seconds to load. When you have the whole list on a single page, just copy and paste it where you want (Excel, Google Spreadsheet). It might take some time here as well. We’re done! For bigger lists, you can split the work by limiting the number of items shown on the page: previous and next buttons still work! So a 80,000 list can be copied in 4 chucks of 20,000 using the ‘next’ button. Although more and more data is being published in an open format, getting hold of it in a form that you can quickly start to work with can often be problematic. In this post, I’ll describe one way in which we can start to make it easier to work with data sets from remote data sources such as the World Bank, the UN datastore and the UN Population division from an IPython Notebook data analysis environment. 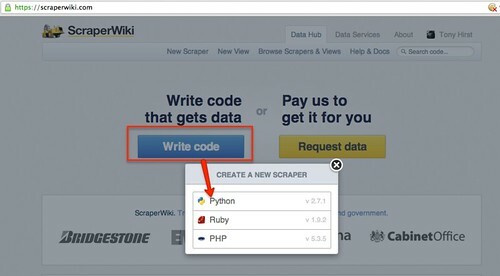 For an example of how to run an IPython Notebook in a Chrome browser as a browser extension, see Working With Data in the Browser Using python – coLaboratory. 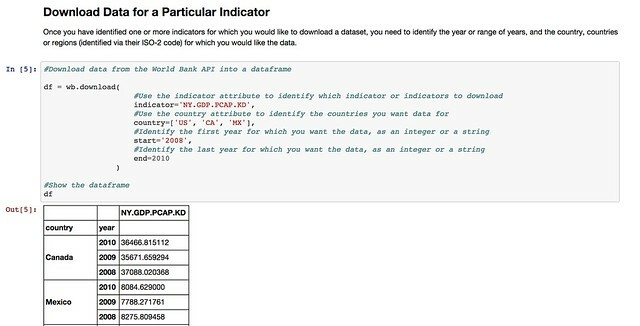 Unfortunately, of the wrappers described in this post, only the tools for accessing World Bank Indicators will work – the others currently require libraries to be installed that are not available within the coLaboratory extension. The pandas Python library is a programming library that provides powerful support for working with tabular datasets. Data is loaded into a dataframe, the rows and columns of which can be manipulated in much the same way as the rows or columns of a spreadsheet in a spreadsheet application. For example, we can easily find the sum of values in a column of numbers, or the mean value; or we can add values from two or more columns together. We can also run grouping operations, a bit like pivot tables, summing values from all rows associated with a particular category as described by a particular value in a category column. Dataframes can also be “reshaped” so we can get the data into a form that looks like the form we want to be. But how do we get the data into this environment? One way is to load in the data from a CSV file or Excel spreadsheet file, either one that has been downloaded to our desktop, or one that lives on the web and can be identified by a URL. Another approach is to access the data directly from a remote API – that is, a machine readable interface that allows the data to be grabbed directly from a data source as a data feed – such as the World Bank indicator data API. On most occasions, some work is needed to transform the data received from the remote API into a form that we can actually work with it, such as a pandas dataframe. However, programming libraries may also be provided that handle this step for you – so all you need to do is load in the programming library and then simply call the data in to a dataframe. The pandas library offers native support for pulling data from several APIs, including the World Bank Development Indicators API. 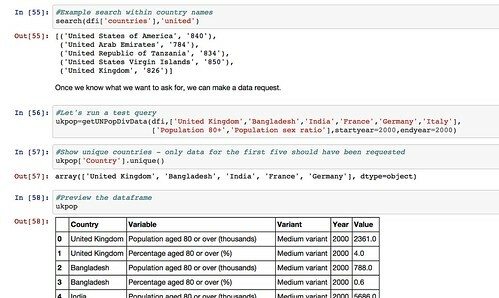 You can see an example of it in action in this example IPython notebook: World Bank Indicators API – IPython Notebook/pandas demo. Whilst the World Bank publishes a wide range of datasets, there are plenty of other datasets around that deal with other sorts of development related data. So it would be handy if we could access data from those sources just as easily as we can the World Bank Development Indicators data. In some cases, the data publishers may offer an API, in which case we can write a library a bit like the pandas remote data access library for the World Bank API. Such a library would “wrap” the API and allow us to make calls directly to it from an IPython notebook, getting the data back in the form of a pandas dataframe we can work with directly. Many websites, however, do not publish an API – or occasionally, if they do, the API may be difficult to work with. On the other hand, the sites may publish a web interface that allows us to find a dataset, select particular items, and then download the corresponding data file so that we can work with it. This can be quite a laborious process though – rather than just pulling a dataset in to a notebook, we have to go to the data publisher’s site, find the data, download it to our desktop and then upload it into a notebook. One solution to this is to write a wrapper that acts as a screenscraper, which does the work of going to the data publisher’s website, find the data we want, downloading it automatically and then transforming it into a pandas dataframe we can work with. In other words, we can effectively create our own ad hoc data APIs for data publishers who have published the data via a set of human useable webpages, rather than a machine readable API. A couple of examples of how to construct such wrappers are linked to below – they show how the ad hoc API can be constructed, as well as demonstrating their use – a use as simple as using the pandas remote data access functions show above. The UN Department of Social and Economic Affairs Population Division on-line database makes available a wide range of data relating to population statistics. 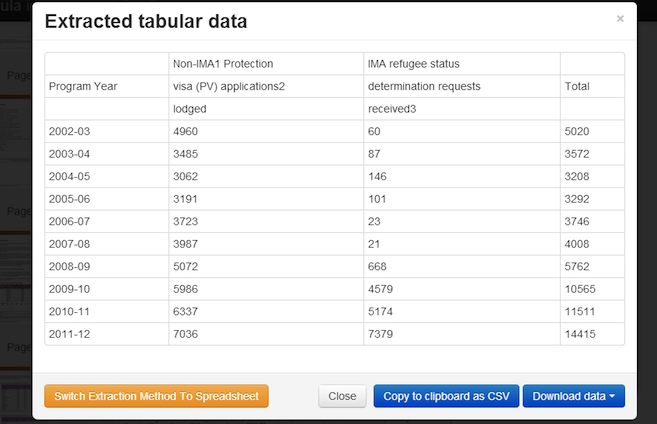 Particular indicators and the countries you require the data for are selected from two separate listboxes, and the data is then downloaded as a CSV file. 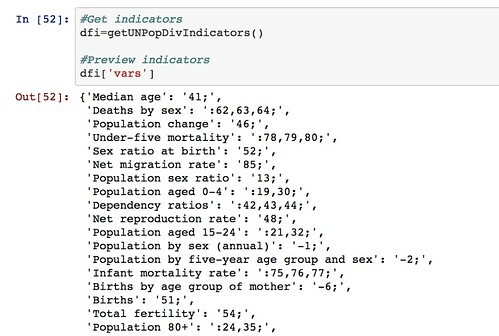 By scraping the contents of the list boxes, we can provide a simple command based interface for selecting a dataset containing data fro the desired indicators and countries, automatically download the data and parse it into a pandas dataframe: UN Population Division Data API. So for example, we can get a list of indicators: We can also get a list of countries (that we can search on) and then pull back the required data for the specified countries and indicators. . Note that the web interface limits how many countries and indicators can be specified in any single data download request. 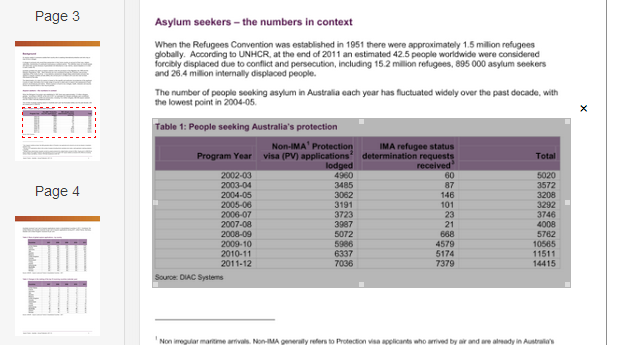 We could cope with this in our ad hoc API by making repeated calls to the UN website if we want to get a much wider selection of data, aggregating the results into a a single dataframe before presenting them back to the user. The UNdata website publishes an official XML API, but I couldn’t make much (quick) sense of it when I looked at it, so I made a simple scraper for the actual website that allows me to request data by searching for an indicator, pulling back the list of results, and then downloading the data I want as a CSV file from a URL contained within the search results and parsing it into a pandas dataframe: UNdata Informal API. Tabula has a video that walks through how to set up the tool. Read the Open News article introducing Tabula and setting out some of its limitations. Check out the School of Data Link discussion on Tabula and some alternatives. School of Data is re-publishing Noah Veltman‘s Learning Lunches, a series of tutorials that demystify technical subjects relevant to the data journalism newsroom. 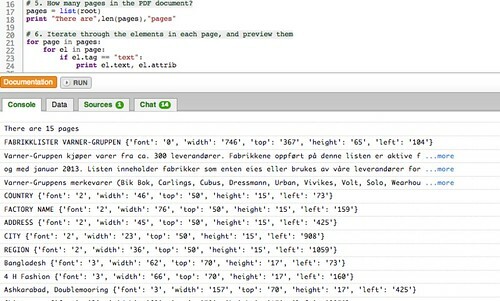 This Learning Lunch is about web scraping: automatically extracting data from web pages. Web scraping refers to the practice of writing code that will load a web page in order to extract some information from it automatically. It’s like a Roomba for the web. Let’s say you wanted to save information about every US federal law with a certain keyword in it. 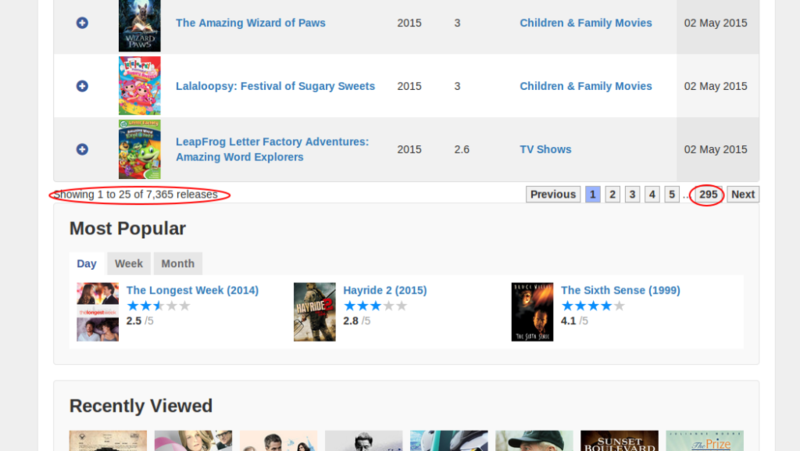 You might have to get it directly from search results in THOMAS. If there are three results, you could just manually copy and paste the information into a spreadsheet. If there are three thousand results, you probably don’t want to do that. Enter the scraper. If you specify exactly what a law looks like in a page of search results, you can then tell the scraper to save every one it finds into a text file or a database or something like that. You also teach it how to advance to the next page, so that even though only ten results are displayed per page, it can cycle through all of them. When is a scraper useful? The best way to understand how a scraper thinks might be to think about what kinds of data are hard to scrape. A web page is generally made up of nested HTML tags. Think of a family tree, or a phylogenetic tree. We call this tree the DOM. For example, a table is an element with rows inside of it, and those rows are elements with cells inside of them, and then those cells are elements with text inside them. You might have a table of countries and populations, like this. You can also use tag properties, like their IDs and classes, to search more effectively (e.g. 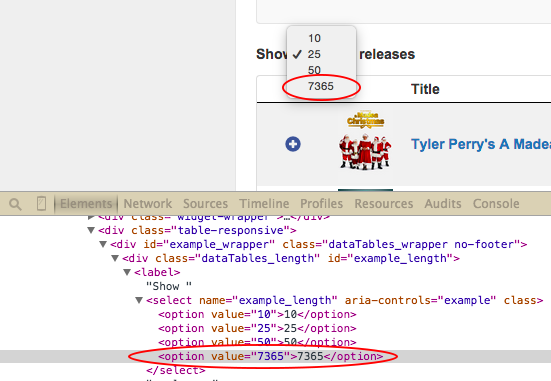 “Find every <a> tag with the class external” would match a tag like <a href="http://google.com/" class="external">“). The point here is that figuring out the right instructions for a scraper can be more complicated than it seems at first glance. A scraper is diligent but incredibly stupid, and it will follow all of your instructions to the letter, for better or worse. Most of the work of web scraping consists of the detective work and testing to get these patterns right. The simpler and more consistent your information is, the easier it will be to scrape. If it appears exactly the same way in every instance, with no variation, it’s scraper-friendly. If you are pulling things out of a simple list, that’s easier than cherry-picking them from a rich visual layout. If you want something like a ZIP code, which is always going be a five-digit number (let’s ignore ZIP+4 for this example), you’re in pretty good shape. If you want something like an address, that mostly sticks to a pattern but can have thousands of tiny variations, you’re screwed. Exceptions to the rule are a scraper’s nemesis, especially if the variations are minor. If the variations are large you’ll probably notice them, but if they’re tiny you might not. One of the dangers in creating a scraper to turn loose on lots of pages is that you end up looking at a sample of the data and making the rules based on that. You can never be sure that the rest of the data will stick to your assumptions. You might look at the first three pages only to have your data screwed up by an aberration on page 58. As with all data practices, constant testing and spot checking is a must. Mimicking a logged in person is more difficult than scraping something public. You need to create a fake cookie, essentially letting the scraper borrow your ID, and some services are pretty sophisticated at detecting these attempts (which is a good thing, because the same method could be used by bad guys). If you want to pull data off a single page, and you know the URL, that’s pretty straightforward. Feed the scraper that URL and off it goes. 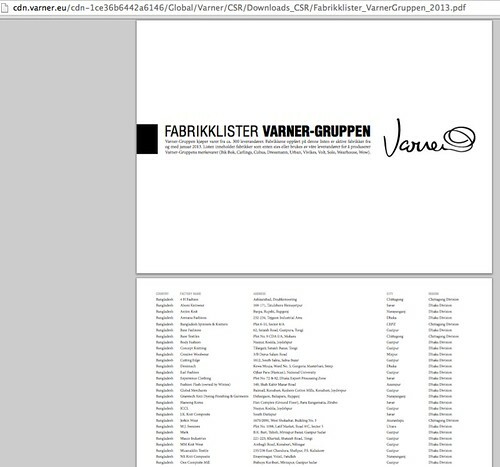 Much more common, though, is that you are trying to scrape a lot of pages, and you don’t know all the URLs. In that case the scraper needs to pull double duty: it must scout out pages by following links, and it must scrape the data off the results. The easy version is when you have a hundred pages of results and you need to teach your scraper to follow the “Next Page” link and start over. The hard version is when you have to navigate a complex site to find data that’s scattered in different nooks and crannies. In addition to making sure you scrape the right data off the page, you need to make sure you’re on the right page in the first place! Let’s imagine you wanted to scrape the bill number, title, and sponsor of every law passed by the 112th session of the United States Congress. 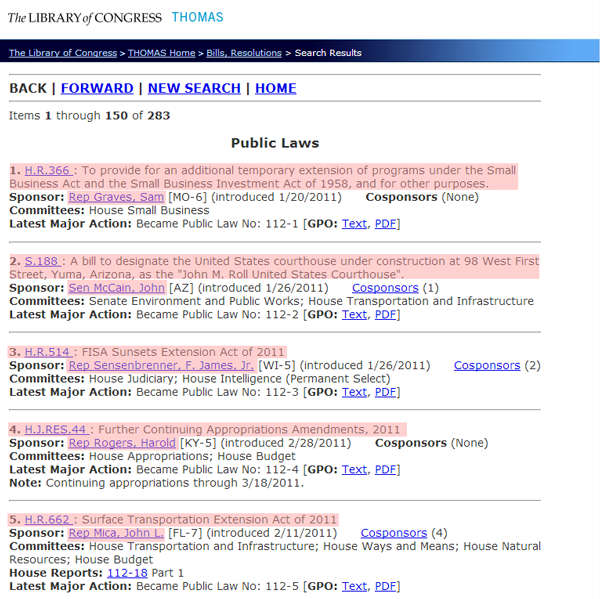 You could visit THOMAS, the official site for Congressional legislative records. It turns out they keep a handy list of Public Laws by session, so that saves you some time. When you click on the 112th Congress, you’ll notice there are links to two pages of results, so you’ll need to scrape both of those URLs and combine the results: On each page, you get a list of results that displayed the name and sponsor of the law in a seemingly consistent way: In order to scrape that information and nothing else, we need to put our source code detective hats on (if you’re going to start scraping the web, make sure you get a proper source code detective hat and a film noir detective’s office). 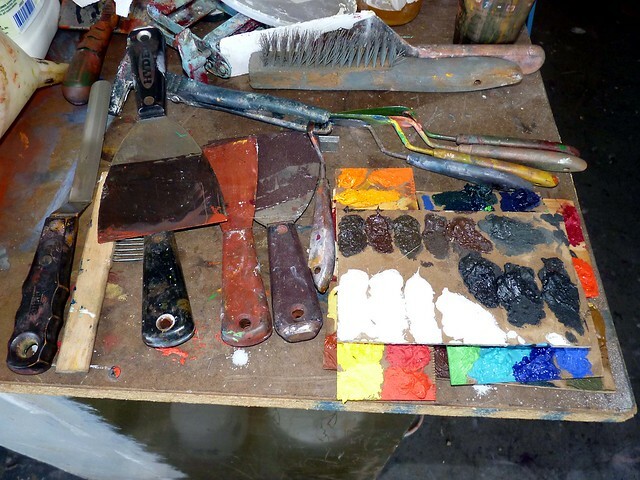 This is where it gets messy. That list looks like this. <br /><b>Latest Major Action:</b>  Became Public Law No: 112-4 [<b>GPO:</b> <a href="/cgi-bin/toGPObsspubliclaws/http://www.gpo.gov/fdsys/pkg/PLAW-112publ4/html/PLAW-112publ4.htm">Text</a>, <a href="/cgi-bin/toGPObsspubliclaws/http://www.gpo.gov/fdsys/pkg/PLAW-112publ4/pdf/PLAW-112publ4.pdf">PDF</a>]<br /><b>Note: </b>Continuing appropriations through 3/18/2011. There’s more than one way to skin this particular cat, which is nothing unusual when it comes to scraping. We can get the sponsor’s name by looking for every link that comes immediately after <b>Sponsor:</b> and getting the text of that link. 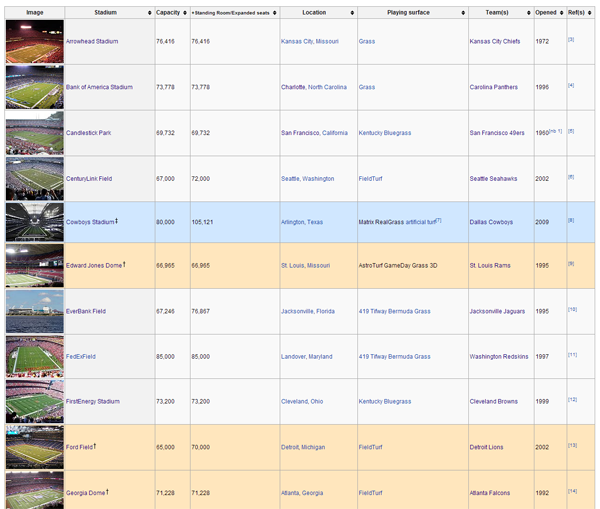 Let’s say you wanted to get the list of all NFL football teams with their stadiums, stadium locations, and team colors. Wikipedia has most of this information available in some form or another. You could start here and you’d find this table: This seems pretty straightforward. The second column is the stadium name, the fifth column is the location, and the seventh column is the team, so that gets us 3 out of the 4 data points we want. But of course it’s not that simple. Wikipedia sometimes includes annotations in the text, and we want to make sure we don’t include those as part of what we scrape. Then, if you scroll down to MetLife Stadium, you find the dreaded exception to the rule. It has two teams, the Giants and Jets. We need to save this row twice, once for each team. Let’s imagine we wanted a more specific location than the city. We could do this by having our scraper follow the link in the “Stadium” column for each row. On each stadium’s page, we’d find something like this: We could save that and we’d have a precise latitude/longitude for each stadium. 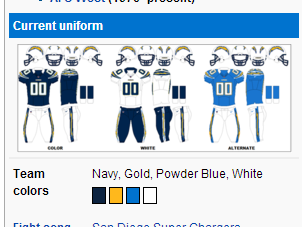 In the same fashion, we can get the team colors by following the link to each team in the “Team(s)” column. We’d find something like this: If we inspect those elements, we’d find something like this: That “background-color” is what we want, and there’s one for each color swatch on the page. So we could say something like “Find the table cell that says ‘Team colors’ inside it, then go to the next cell and get the background color of every <span> inside a pair of <p> tags.” You’ll notice that three of them are special color codes (“#0C2340″,”#FFB81C”,”#0072CE”) and one is plain English (“white”), so we need to keep that in mind, possibly converting “white” into a special color code so they all match. 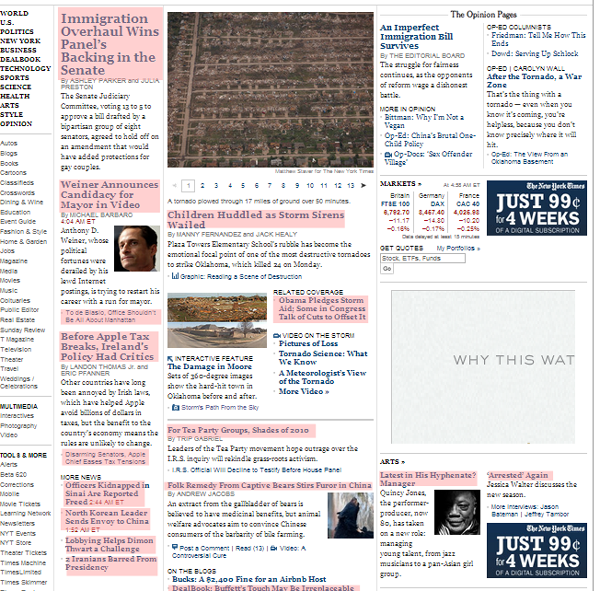 As usual, we need to be skeptical of the assumption that every page will follow the same format as this one. 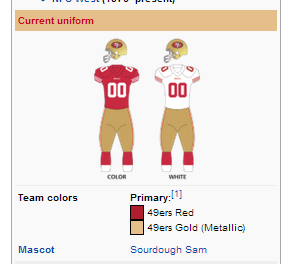 If you look at the San Francisco 49ers page, you’ll see that the way the colors are displayed varies slightly: The rule we wrote before turns out to be overly specific. These <span> tags aren’t inside of <p> tags. Instead, we need to broaden our rule to get the background-color of any <span> in that cell. If you want to write your own scrapers, there’s no way around writing some code. A scraper is nothing but code. 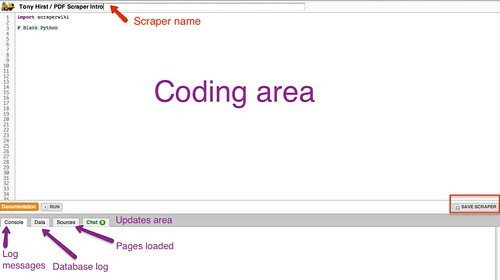 If you’re a beginner, though, you can check out ScraperWiki, a tool for writing simple web scrapers without a lot of the hassle of setting up your own server. The best thing about ScraperWiki is that you can browse existing scrapers other people have written, which will help you learn how scraper code works, but also give you the opportunity to clone and modify an existing scraper for a new purpose instead of writing one from scratch. For instance, this is a basic Twitter search scraper: https://scraperwiki.com/scrapers/ddj_twitter_scraper_9/ By just changing the value of QUERY, you have your own custom Twitter scraper that will save tweets that match that search and give you a table view of them. This scraper saves Globe and Mail headlines: https://scraperwiki.com/scrapers/bbc_headlines_8/ If you add an extra line to filter them, you can start saving all Globe and Mail headlines that match a particular keyword. download_url properties from its members. I’ll do this with a list comprehension. with the first report. To do this we’ll need lxml.etree, the XML library. Let’s use it to parse the XML from the first URL we grabbed. gives money and who receives money. We don’t care right now about amounts. this with a list comprehension again. put it into a function. Now we can do this for all the activities! function here as well to do this for each report…. reduce? Now guess what? We can do this for all the reports! – ready? Go! Now we can clean this up using Refine and examine it with Gephi in part II. That worked!. Notice the empty string u” at the end? I’d like to filter it. # remove all entries that are "der","m" or "f"
quick way to get the data out of a PDF using the scraperwiki module. print data And here’s the sort of thing we get if we run it: That looks nearly there, doesn’t it, although if you peer closely you may notice that sometimes we catch a header row. 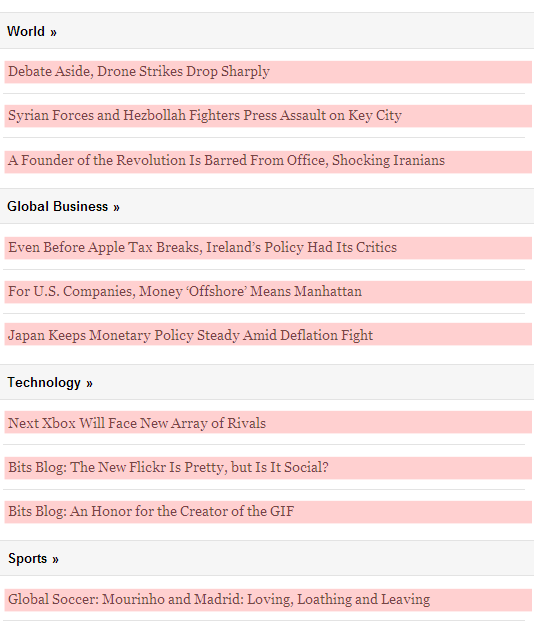 There are a couple of ways we might be able to ignore the elements in the first, header row of the table on each page. 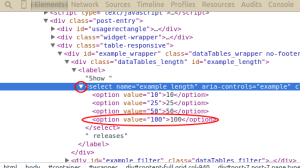 We could keep track of the “top” co-ordinate value and ignore the header line based on the value of this attribute. We could tack a hacky lazy way out and explicitly ignore any text value that is one of the column header values. This is a guest post by Chris Taggart, co-founder of OpenCorporates.com and member of the Open Knowledge Foundation’s Working Group on Open Government Data. On Friday we at OpenCorporates announced an innovative (and frankly untested!) way for the open data community to work together in helping opening up one of the most important datasets there is: company numbers and names. Full details are on the OpenCorporates blog, but basically we’re working with the superb ScraperWiki to open up the company names and numbers in a consistent way. And because we’d like to use that info, we’re offering small bounties for each jurisdiction that’s added, with a total pot of £2,500 (it’s worth stressing that neither the scrapers nor the data will belong to OpenCorporates). We’ve already had a few scrapers written in response to the challenge, but are plenty more territories to do, and we’re particularly keen to see the opening up of the data for those countries where the system is a little newer, such as those in Eastern Europe, north Africa, or Asia. And then, of course there’s the huge task of the US states (we’ve done Michigan and DC). It’s worth saying that many of these registers have distinctly un-open licences. This is in part why we’re just asking for the most basic and non-contentious information: the company name, number and possibly status or company type. However moving forward we need to open up the whole register, and we’ve already had positive discussions with some countries for doing this. Till then, happy scraping.